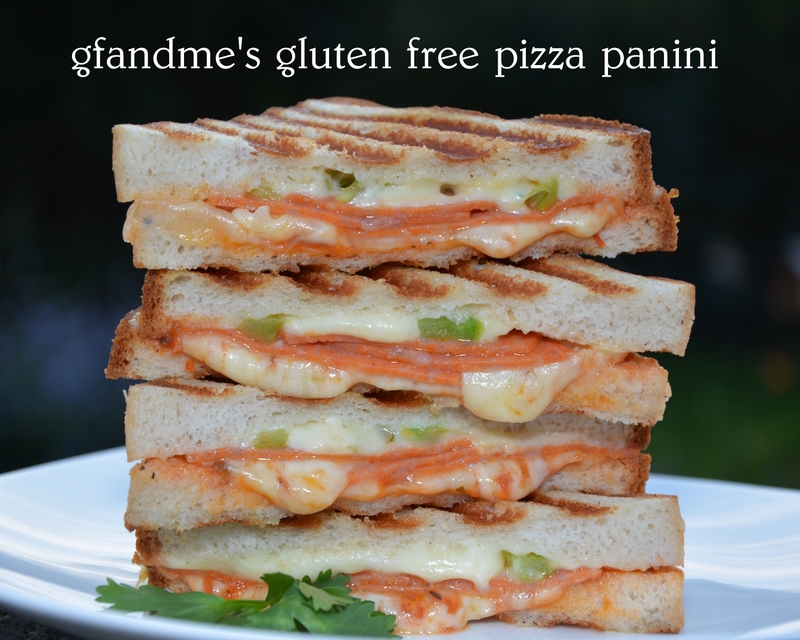 A few days ago, gfandme was contacted by Dempster’s to see whether or not we would be willing to put together a review and a recipe or two for their new Gluten Zero breads. They didn’t have to twist our arm much because we’d already tried their whole grain Gluten Zero bread and really liked it. It’s made in Canada in a gluten free bakery that is certified by the Canadian Celiac Association and even comes ‘double-bagged.’ You can’t get more worry-free than that. You also buy it fresh, not frozen. The bread is vacuum sealed at the factory and the Dempster’s website says it will last on the shelf for five weeks. (I’m afraid we can’t verify that because we ate it pretty quickly 🙂 ). The website goes on to say that after opening the bag, it will last on the counter for up to five days. We found that after a day the texture had changed so would recommend keeping it in the freezer and thawing it on the counter as needed. The bread looks and tastes fabulous. The crust is nicely browned, which can be difficult to do with GF flours, and toasted or not, the bread is one of the best tasting on the market. It really does taste like a slice of gluten laden bread, and there is absolutely no hint of grittiness or that bitter aftertaste gf breads can have. With butter or margarine, it makes a great open-faced cheese or peanut butter sandwich – which is something Geoff hasn’t enjoyed in a very long time. You can even use it to make a good closed sandwich by using moist ingredients like egg salad or with the addition of veggies such as lettuce and tomato. While the slices feel soft, compared to glutinous bread this bread is still somewhat dry. It reminds me of a loaf of regular bread that is a couple of days old. Still, though, that’s not too bad of a trade off for the convenience of fresh commercially produced gluten free bread, and the dryness can be mostly countered with condiments, sandwich spreads, or by adding fresh veggies to your sandwiches. For more information on Dempster’s Gluten Zero bread, including recipes, ingredients and nutrition information, click here. Have a look at Dempster’s products on their pinterest page. Preheat your panini press to medium. TIP: Don’t have a press? No worries. Try these low tech methods instead. Spread the outside of the bread slices for the sandwich with either olive oil or butter/margarine and stack them with the oiled sides together in the middle. This gives you access to the inside for filling and keeps the oil off your counter. Place the cheese onto the bread slices. Then add the fillings and the optional ingredients if desired. 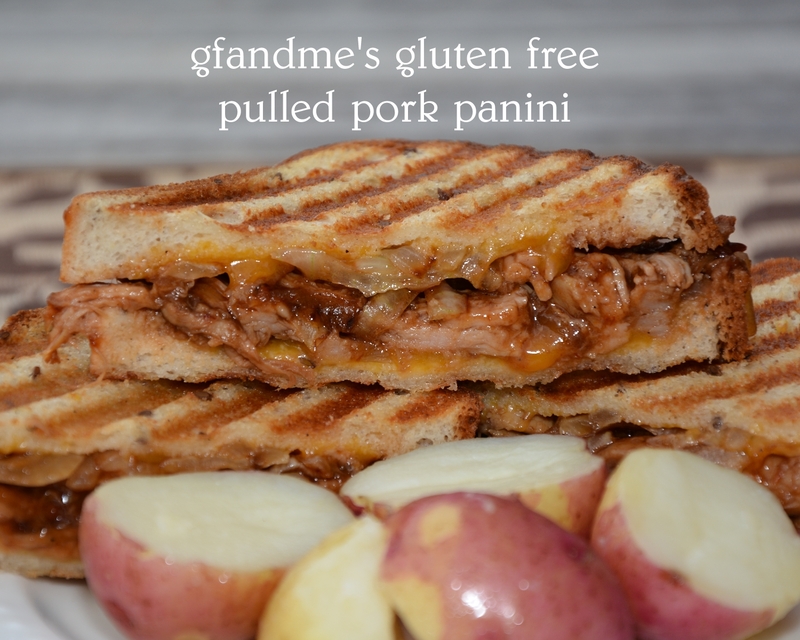 For the pulled pork panini and the dessert panini, add the optional ingredients after the sandwich is toasted. Lift the top slice of bread with the filling on top of it and place oiled side down onto your press. Cover with the other slice, oil side up. Close the lid and toast for five minutes. TIP: If you use your press for both gf and non-gf panini, make sure you line it with parchment paper before toasting your sandwiches in order to avoid cross contamination. 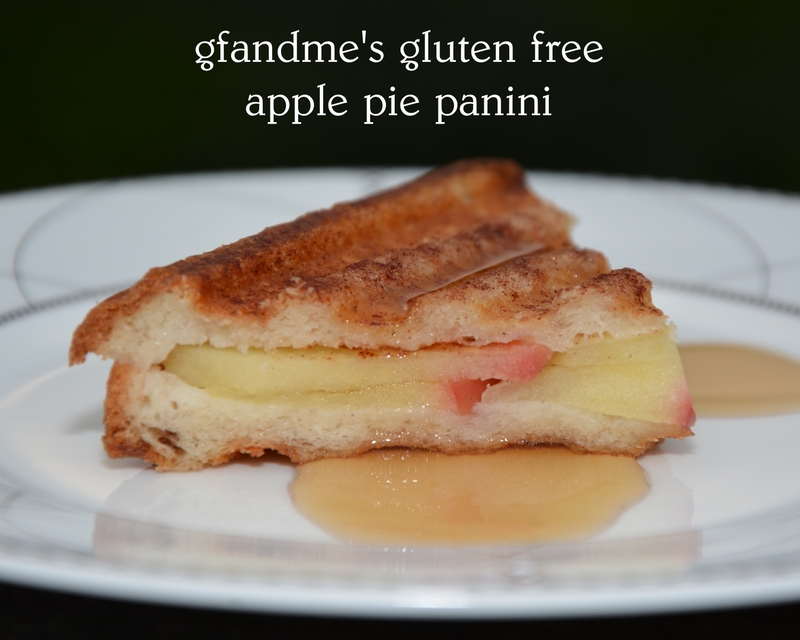 This entry was posted in Breakfast & Brunch, Lunch and Dinner, Recipes and tagged apple pie, breakfast sandwich, celiac, coeliac, dempster's gluten zero bread, gluten free, gluten free in Red Deer, panini, Pizza. Bookmark the permalink. Thanks for another great recipe. I have recommended your blog to many. All of that looks amazing, gfandme. Congrats for being picked to test it out too. 🙂 I wish we could get a good gluten – free bread down here. Everything I’ve tried is like you said..frozen / hard / gritty / bitter. With all my iron issues this summer (combined with the heat) I’ve really backed off of the bread baking. I would love to be able to just grab a slice of bread from the counter and make some grilled cheese. Thanks ruralroutelupiac. And that’s exactly how we feel. I like baking bread but sometimes I just want the convenience of opening a bag. I think sandwiches are what Geoff has missed most since his diagnosis. 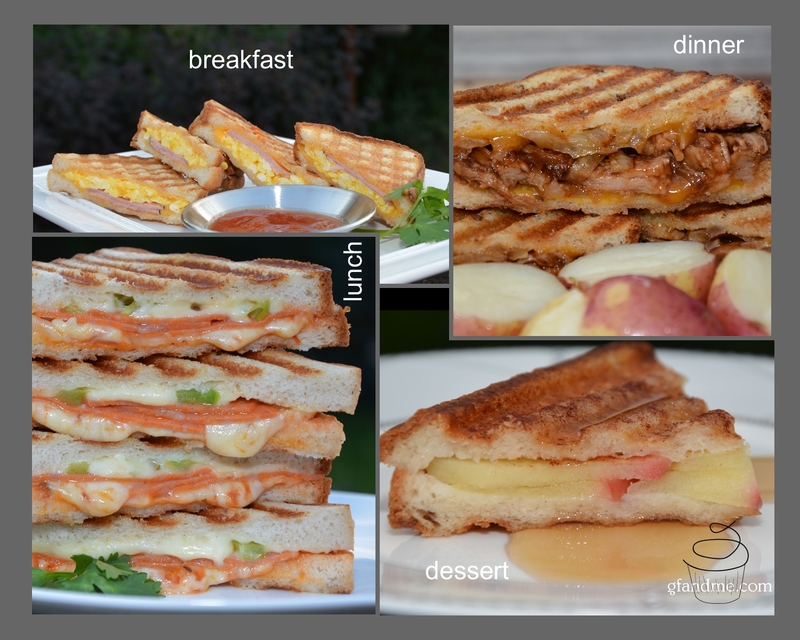 panini is my most fave food of all. 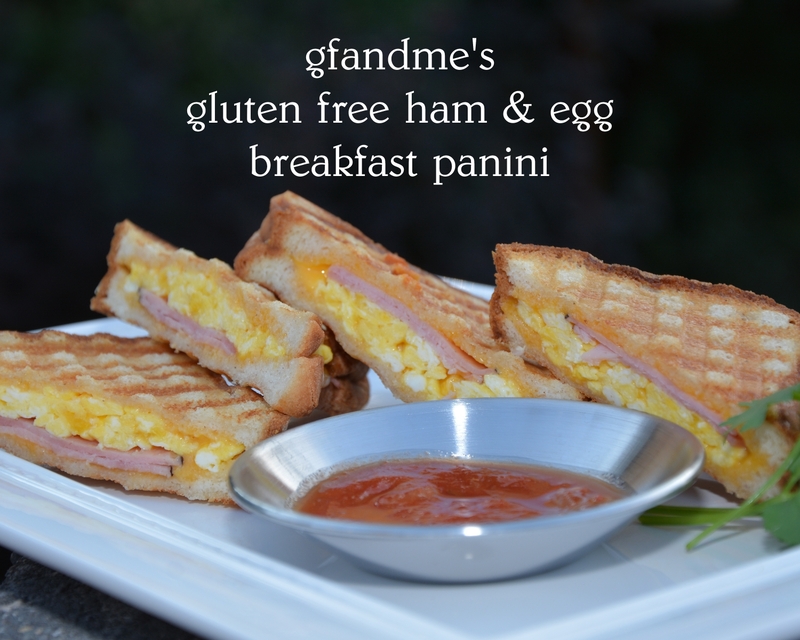 your gluten free recipes will keep my panini press busy more than ever. Thanks! Hope you enjoy them as much as we do.